I hope you have all been having fun out there. Yes - it has been a while, though the Facebook page is updated daily (thanx to Ela) and the monthly newsletter has been sent out on time. The usually updated blog has been delayed due to heaps of work and some new web site work. So I thought I best get up early and try to make you smile. The season has been so far pretty awesome and some great days out my clients have been having. Although the weather so far through January looks like being the worst we have ever had. Every other day the sun pops out and its warm, that is short lived and the rain has fallen nearly every day. 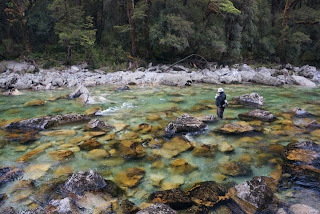 Rivers have been clear for a day then high and dirty the next. The good thing though I have managed to find clear water and feeding fish for my clients. 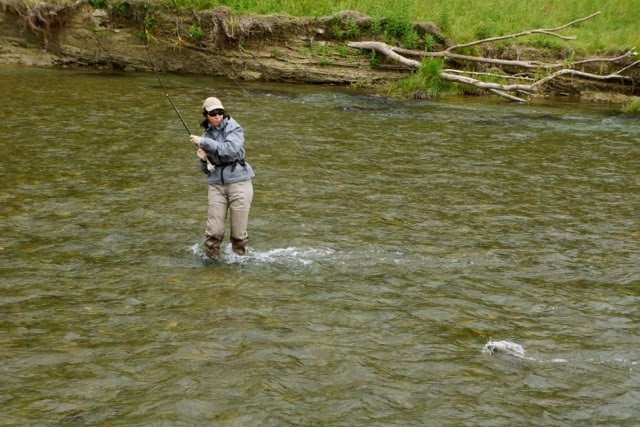 Despite the conditions, I am longing for clear water and rising fish though. 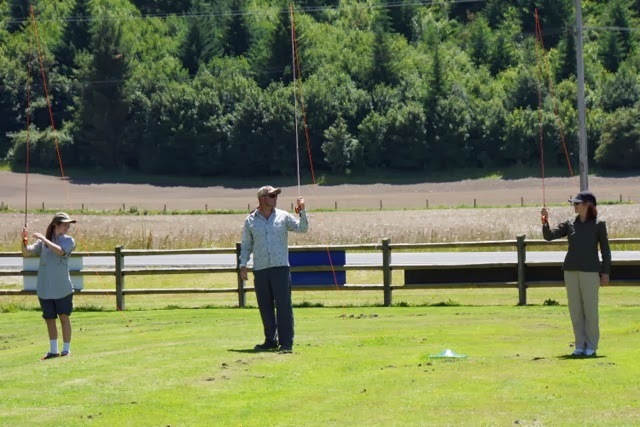 Reading the front page of the local paper yesterday, the weather gurus are saying that it may rain on and off every day for the next 10 days and then summer will kick in big time. 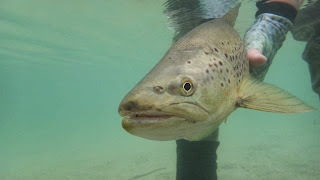 So expect to wait until Feb March for a short hot summer and terrestrial dry fly action on mass. The shop as usual has just picked up in January with plenty old faces returning with stories of the one that got away and new places discovered and kept secret. For me I love to hear all these stories and especially when it's other species of fish that have been getting chased in some far corner of the earth. 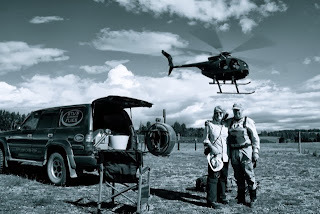 In 2013 I booked our South Island trip. I knew I wanted to do some trout fishing and as a Wellingtonian I was really looking forward to something different from what I have done in the last several years. Ela met me at the shop first. The shop is like your best dream. If you can imagine a little building sitting beside the highway at Athol. This is the first time that the old saying - A kid in a candy store - was a reality. Awesome! Stu said hello and we hit the river. 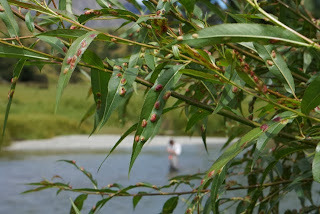 We found fish feeding on the surface and also gathering in what seemed like a fish farm to me. 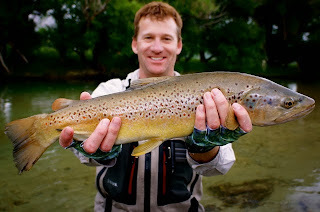 The most wild trout I have ever seen in at one time. We used one of Stu’s banana flies. A little yellow willow grub. BANG! This happened three times for me. 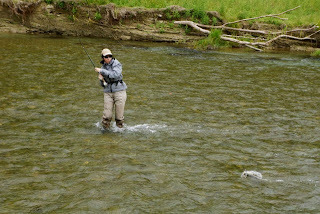 Two landed and released, one pinging off after a a lively leap from the beautiful green of the river. Stu was easy to get on with and shared a truckload of information that he has built up over a long time. I was the SPONGE that day. Loved hearing about the insect life cycle and how it works for the trout. Stu was ever the good guy fixing the special birds nest I managed to create with one cast and removing the fly from my jacket at one stage. He tied new flies on for me faster than my dog can chase a ball. 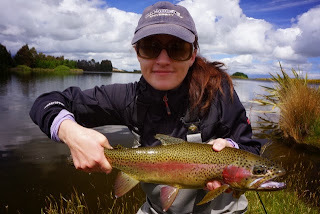 We had wets on one fish, dry flies the next. Then back and all the time Stu expanded on WHY. Stu’s sense of humour was great too. It’s not often I met someone that can handle and enjoy my sort of humour. All up - this would be the BEST guided trip I have ever done. 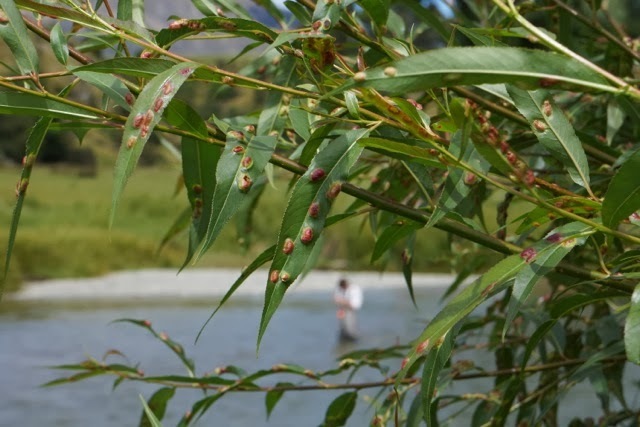 The leaves of the willow trees are full of the homes of willow grubs and they will soon fall like rain drops. Buried in the wet tussock grass waiting on the warmth of the sun with folded wings are millions of cicadas. So we are not the only ones waiting on the heat of the sun - bring on summer! The response to quality and the value of these sets has caught me out and we ran out of stock of them at the end of December. Luckily another shipment arrived and they are back in stock. 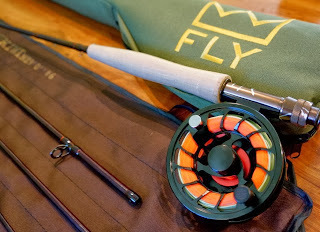 So if you or a friend are looking for a great fly fishing set up for a good price - check them out. They come with a spare tip section as well and we have spare other sections if you every need your one fixed after crushing it in the car door or something. 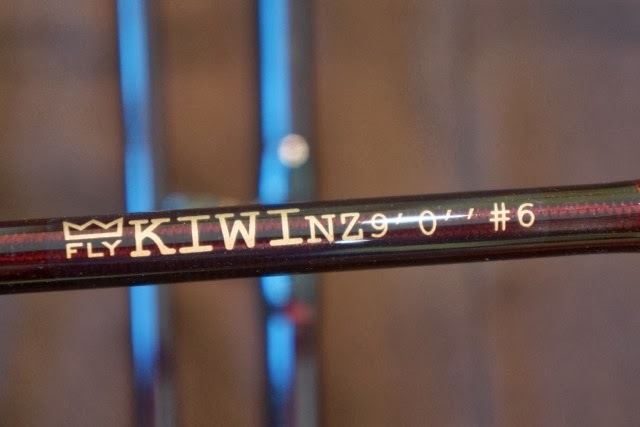 WHAT ROD TO BRING TO NZ? 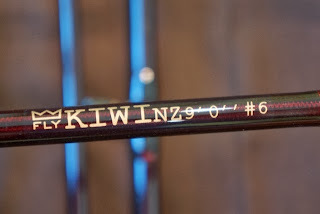 If you are going to bring one to the South Island or buy one it would be best to look at a 9ft 6wgt, then your next rod a 5 wgt, then a 4 wgt. The 6wgt rod will have enough guts in it for casting the larger size flies, heavy mayfly bombs and help you cast into the wind. 5wgt rods are great for medium sized flies, lighter nymphs and less wind. 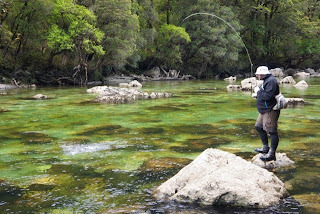 4wgt rods are so much fun to use here especially with the short casts we do in summer with willow grub flies and very small nymphs on clear calm days. Gradually they are appearing and it always makes me smile when sometimes after years of tweeking in my studio the final result is released. One of the new fly designs that are catching fish everywhere. 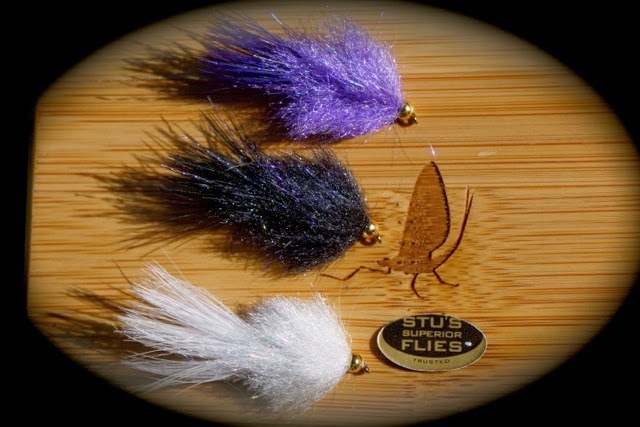 You will now be pleased to know that providing you placing an order or ask us we can send you or your club a pretty cool neat Superior flies catalogue that you can leave in the car, office or pin to the wall. More and more work has been going on with this side of the business and everybody that has been attending the days have been more than happy. Many returning clients and bookings for future dates. More specialized equipment has been sourced to develop the NZ Fly Fishing School and make them even more enjoyable. Helping people enjoy the sport even more and becoming more efficient with their equipment makes me go to bed at night with a smile on my face. A few dates are left for this season and already next November is nearly full. So book early if you are thinking of coming. Have you ever wanted to go exploring backcountry rivers? 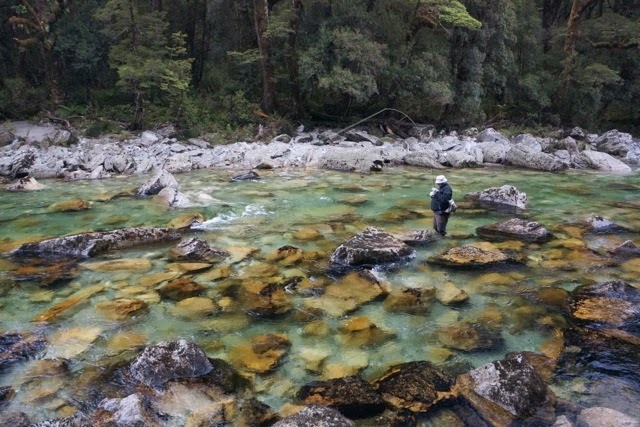 The rivers in beech forests of Fiordland might just be what you are looking for - gin clear water and trout can see your fly from meters away! We can camp out or use backcountry huts. A range of packages are available and can be tailored around your timeframe and needs.